Once referred the AP Health Department Official Notification 2019 before the staring of the application process. Because of if you once refer the official notification, you can refer all the details like education qualification, pay scale, selection process, application fee etc. In this page, you can also get the AP Health Department Application Forms. The Andhra Pradesh Health Department is ready for the releasing of the AP Health Department MPHA Notification. A huge number of candidates are eagerly waiting for this notification. Because these Health Department vacancies have the highest salary. This is the main reason most of the candidates to see interest in these jobs. In the Health Department, 1900 Posts are vacant for the eligible ones. The AP Auxiliary Nurse Midwife Vacancy posts areAuxiliary Nurse Midwife / Multi Purpose Health Assistant(F). So candidates, once check the AP Health Department ANM Notification and apply for these jobs. This AP Health Department ANM Notification application links are not opened at present. Maximum the links will be available on 02 Feb 2019 and the links will be closed on 22 Feb 2019. Candidates, at any time the links will be opened by the officials of Andhra Pradesh Health Department. So aspirants without delay to follow our web page of @ www.jobschat.in fro knowing the latest updates about this AP Auxiliary Nurse Midwife Recruitment. Because we can update the latest news daily. & passed EITHER 18/24 months MPHA(F) course conducted in the State (recognized by AP Nursing & Midwives Council) OR Two Years intermediate Vocational Multi Purpose Health Worker (Female) Course and have completed one year Clinical Training in selected Government Hospital. Contenders must and should maintain the age limit which is mentioned by the officials of Andhra Pradesh Health Department. Reserved candidates also have the age relaxation as per the rules of the AP Health Department. Aspirants to refer theAP Health Department Notification to know the application fee about these Auxiliary Nurse Midwife / Multi Purpose Health Assistant(F) jobs. If you are completed your graduation or post Graduation form the Medical Field in the Recognized Board, your are the eligible one for this AP Health Department Notification @ hmfw.ap.gov.in. These posts selection process was based on written test and interview. Suppose the applied candidates have the experience on the relevant post the officials directly conducts the interview. This is an optional chance only. 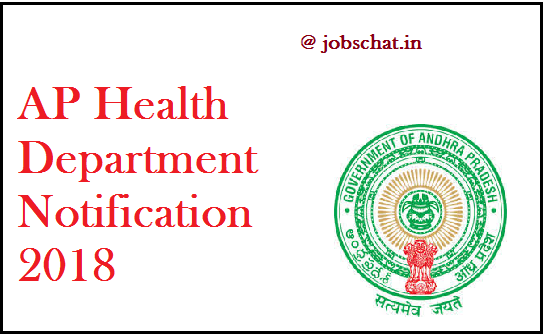 In this page, we can mention the Andhra 1900 Health Department Posts Notification vacancy details in post wise. For more details refer the AP Health Department Official Notification and also get the Syllabus in this page. Are you wish to apply for this AP Auxiliary Nurse Midwife / Multi Purpose Health Assistant(F) Posts, if your answer was yes, don’t delay your time. To start your application process as early as possible before the last date. Because after the due date the registration forms are not considered. The AP Health Department Application Forms @ hmfw.ap.gov.in are provided on this page. You should download it and pay the application fee which is mentioned by the board. You can’t pay the fee to catch the applications. AT the end of the page the links are provided. Once check and use it.